Total success. Nexica collaborated last Saturday in the "g4g Day", organized by Cisco, Barcelona Activa and La Salle Campus Barcelona and 200 girls between 11 and 15 years old (register until September 28) participated in different science and technology workshops. The Nexica workshop, named after Girls & Cloud, proposed to test what cloud computing is. 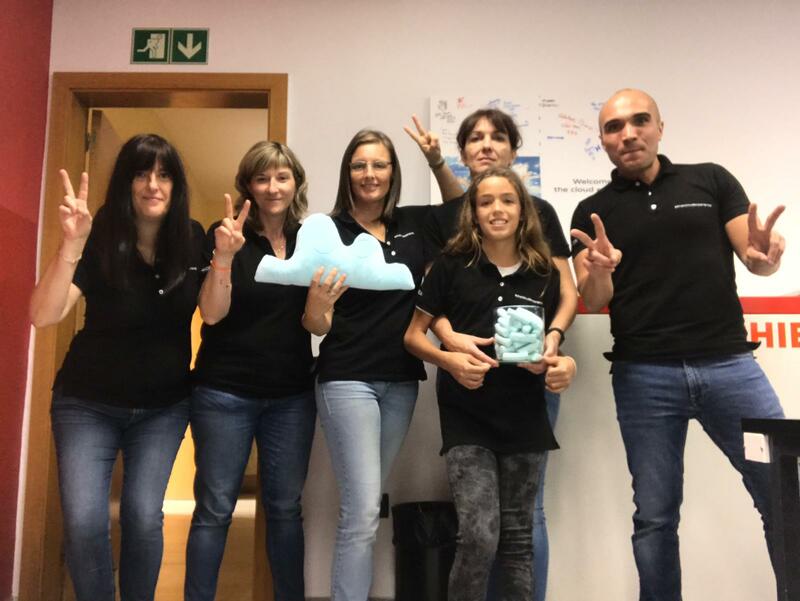 Marta Muñoz, Human Resources director of Nexica: "In this workshop the girls enjoyed and learned all about the cloud, and they had the opportunity to provide a virtual machine and deploy a template with WordPress in a private cloud platform. They uploaded pictures and they saw on the Google Earth where it was allocated (Nexica Barcelona Data Center). They also played with different IT essentials (miniature IDC/cloud/Workplace/Receipt Elements...). Finally we played a funny IT Kahoot." g4g (greenlight for girls) is an international org inspiring girls of all ages & backgrounds to pursue STEM by showing the world of science in fun & exciting ways: "Our strategy started by turning the usual business model upside down." So, on October 6... We are thrilled to be back in the beautiful city of Barcelona for our second g4g day Barcelona, Spain, in partnership with the fabulous Cisco team! 200 girls aged 10-14 participated in interactive workshops to discover STEM (Science, Technology, Engineering, Math). The girls had the opportunity to explore hands-on workshop and interact with role-models from the profession.